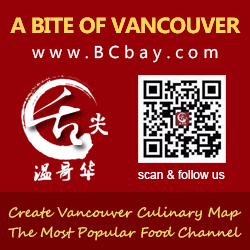 (December 5, 2016 – Vancouver, Canada) As the most celebrated Chinese dining guide in Canada, the Chinese Restaurant Awards have provided a reliable roadmap for diners to search for their next gastronomic adventure. The Awards have taken a huge leap forward in 2017, not only bringing exciting updates to the Diners’ Choice Awards, Critics’ Choice Signature Dish Awards and Social Media Choice Awards, but also relaunching the Chinese Master Chefs program with new bestowments, a short two-part documentary and last Friday’s East Meets West: Vancouver Collaborative Feast. The line-up of exciting events is the Awards’ continuing effort to inspire diners by showcasing the talents of master chefs and to connect the greater culinary world with Chinese cuisine. Diners’ Choice Awards: Nominations Starts Now, Voting Soon Follows! For nine years, the Diners’ Choice Awards have provided comprehensive categories on a wide variety of regional Chinese and Taiwanese cuisines, encouraging diners to venture out of their comfort zone. The highly anticipated new categories of regional iconic dishes are a favourite among the fans of the Awards. 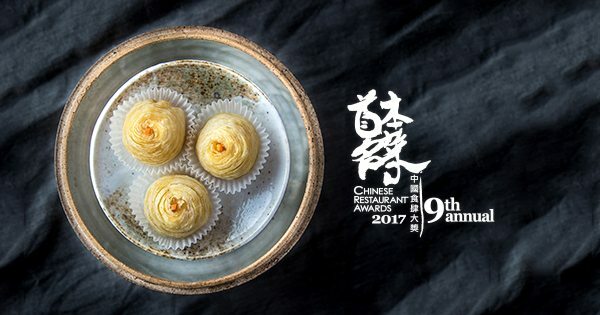 The 2017 new categories are Best New Restaurant (open less than one year), Best Cantonese Siu Mai, Best Shredded Turnip Pastry, Best Sichuan Dan Dan Noodles, Best Taiwanese Popcorn Chicken, and Best Durian Glutinous Rice Dumpling. Nomination for the Diners’ Choice Awards opens on December 5 and ends on December 11, 2016. The voting period is December 12, 2016 to January 22, 2017. The results will be announced on January 23, 2017. Led by some of the best food writers in Canada, the Critics’ Choice Signature Dish Awards are the go-to guide for authentic regional Chinese and Taiwanese signature dishes. The 2017 team of professional critics include the Awards’ co-founder Stephen Wong, Brendon Matthews, Iris Yim, Lee Man, and The Globe and Mail’s Alexandra Gill. Together they uphold the tradition of visiting restaurant anonymously, searching for the best signature dishes since July 2016. In addition to the five professional critics, the Awards are joined by four genuine social-media elites, also known as key opinion leaders: Chole Wang, Jesse Tsao, Leila Kwok, and Melly Woo. They are assigned the new mission of Social Media Choice Awards to search for eight Chinese or Taiwanese trending gastronomic places that provide excellent food or drink experiences, despite their year of establishment. The goal is to compile a guide on the coolest hidden gems that the elites would recommend in a heartbeat. Results will be announced at the awards’ ceremony on March 1, 2017. Since 2013, thirteen award-winning chefs from Hong Kong, Shanghai, Guangzhou, and Vancouver have received the title of Chinese Master Chef for their extraordinary contributions to the global Chinese culinary industry. For 2017, the Awards are relaunching the program, presented by Alberta Canola Producers Commission, with today’s exciting announcement of Chef Leung Yiu Tong (Hoi Tong Chinese Seafood Restaurant) and Chef Sam Leung (Dynasty Seafood Restaurant) joining the ranks of Chinese Master Chefs. In celebration of the program, a short two-part documentary will be shown, featuring Chinese Master Chef and two-Michelin-starred Shang Palace Chef Mok Kit Keung of Kowloon Shangri-La, Hong Kong. The first part “Connecting the World with Chinese Cuisine” airs today. The second part “The future of Chinese Cuisine” will air on Dec 12, 2016. Link – youtube. East Meets West: Vancouver Collaborative Feast kicked off the relaunch of Chinese Master Chefs with a bang last Friday. One hundred thirty guests enjoyed an imaginative feast prepared by the newly bestowed Chinese Master Chef Sam Leung and Ocean Wise’s Chef Ned Bell. Together they inspired guests with a nine-course East-meets-West menu made with the freshest Canadian ingredients such as Fraser Valley duck and Ocean Wise’s recommended seafood such as BC Geoduck, Alaska King Crab, New Zealand Paua Abalone, and so on. The evening’s silent auction of renowned Chinese artist Yao Ji Liang’s calligraphy raised $880 for the Awards Scholarship, benefiting students who are passionate about a career in the Chinese culinary industry, at Vancouver Community College’s Asian Culinary Arts program. The Awards’ result of 2017 will be audited by Jacqueline Lai, CPA, the Awards’ dedicated auditor. The Chinese Restaurant Awards wishes to thank the following partners: Alberta Canola Producers Commission, Hong Kong Tourism Board, River Rock Casino Resort, Hennessy Cognac, Heineken, Fraser Valley Specialty Poultry, Underwater Harvesters Association, Lee Kum Kee Canada, Ocean Wise and CBC Vancouver.